Select Post Cover Height * 42" 53"
These beautifully designed post covers are made to easily slip over a nominal 6" x 6" post. Post covers can also be used with 4" x 4" posts if the 4" x 4" is built out to the width of a 6x6 post. Adjustments are simple using shims. 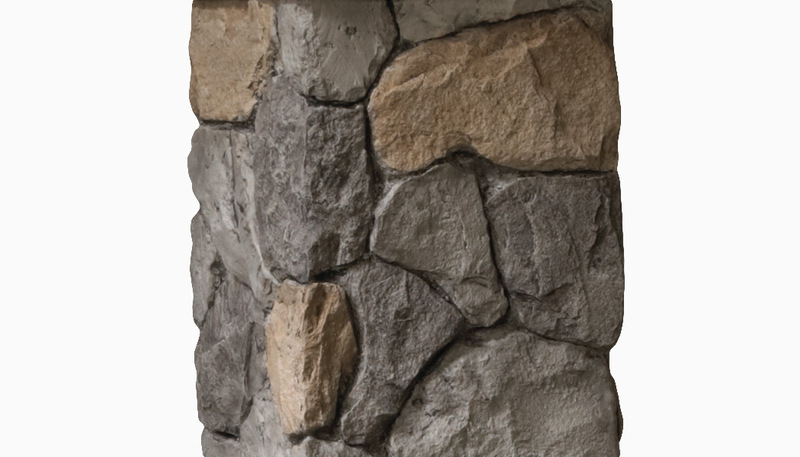 The faux stone postcovers realistically simulate the look of a dry stacked stone post at a fraction of the cost of real stone. 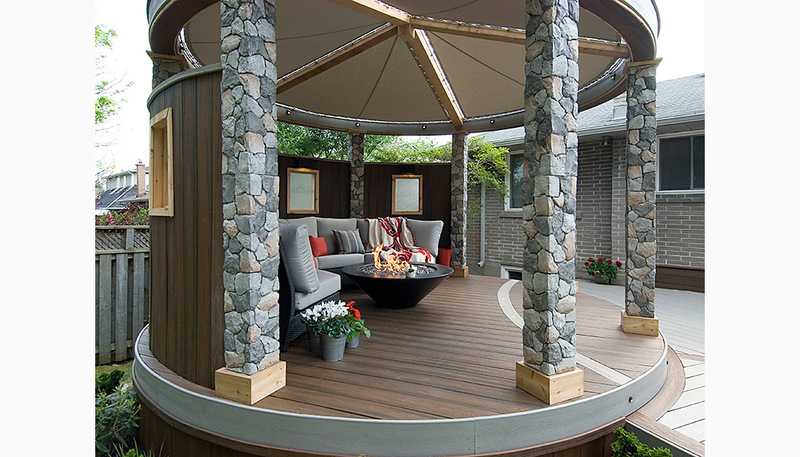 Faux stone post covers integrate easily into virtually any deck design. Deck rails connect to the post and post cover using a specially designed nylon 2x4 connector (sold separately). Deckorators Decorative 8x8 Cast Stone Post Covers are extremely durable and water resistant. Deckorators pioneered the first decorative covers for deck posts. The new cast stone postcovers boldly carry on this tradition, transforming the posts and corners of any deck into magnificent, stately pillars. 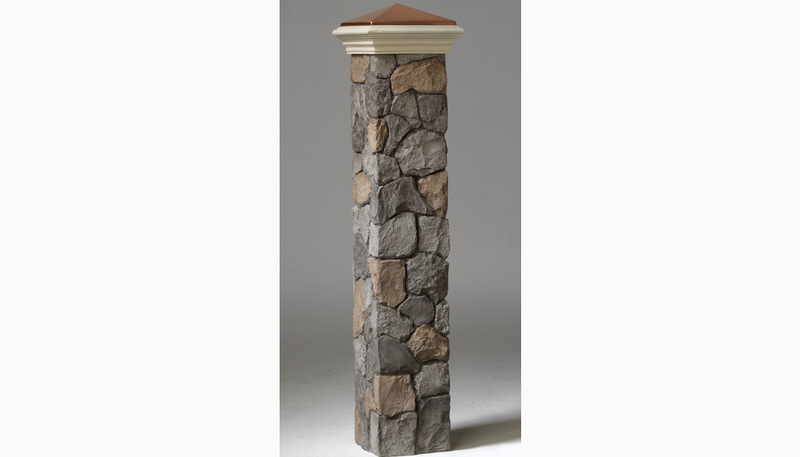 Deckorators Cast Faux Stone Post Covers come in three realistic-looking, earthy styles. Each is made of fiberglass-reinforced concrete that is hand-painted for a more natural-looking appearance. These post covers slip over standard 4x4 or 6x6 wood posts, measure 8" square and come in 42" and 53" heights. Top off these stone-look columns with your choice of three postcover caps. Each fits perfectly atop the postcovers. Mix or match post cover caps to add a crowning touch to your deck, in your own distinctive style. With Deckorators new post covers, designing a deck has never been more fun. Combine the beauty of the new post covers with the distinctive look of maintenance free Deckorators balusters and you'll be amazed at the results. Exterior: 8" x 8" x 42" or 53" tall.